Peter Willis, 64, of Amarillo, died Saturday, Aug. 24, 2013. The funeral service will be held at 2 pm, Wednesday, August 28th, at St. Andrews Episcopal Church of Amarillo, 1601 S Georgia St, Amarillo, Texas 79102, with the Rev. Jo Roberts Mann and the Rev. Dr. Robert F. Pace officiating. Funeral arrangements by Boxwell Brothers Funeral Directors, 2800 Paramount Blvd. Paul Peter Willis II was born Aug. 27, 1948, in Glen Cove, NY to Paul Peter Willis Sr., an ad executive for American Airlines, and Elizabeth Westrom Willis. He was raised in Great Neck, Long Island, New York with his sister, Dawn Willis Moore, until moving to Chicago. He graduated from Wheaton Academy in 1966. He graduated from Wheaton College of IL in 1970 with a degree in sociology. 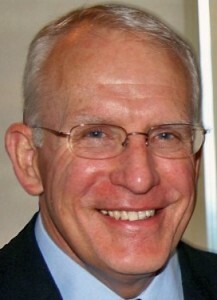 Peter was the distinguished military graduate from Wheaton College and entered the Army in 1970 as an artillery officer. He was honorably discharged in 1972. He was part of the community fellowship at the Church of the Reedemer of Houston, Texas from 1972 to 1980. He married the love of his life, Susan Margaret Ladd Willis, on June 25th, 1977. They had the first of their two children, Paul Peter Willis III, in Houston, TX and moved to Amarillo in 1983, where they had their second son Richard. Peter worked as the Vice President of Alpha Pavement Technologies until pursuing a change of career in 1995. He graduated from the University of Texas at Arlington in 1997 and was awarded his Masters in Social Work. After working for Quest Hospital for a couple of years, he began at BSA Hospice of Amarillo as a counselor and continued there for the remainder of his career. He was gifted at bringing peace to those in difficult situations and spent much of his life sharing his capacity for love and compassion with those who knew him. He was an avid motorcyclist, carpenter, tinkerer, and racquetball player. He lived life with great joy and quiet faith. He will be dearly missed. Peter was preceded in death by his mother and father, his step-father, Bill Bechler, his niece, Wendy Bostrom, his nephew, David Bostrom, and his half-brother, John Willis. He is survived by his wife, Susan Willis; his son Paul, wife Laura and their daughter Anika; his son Richard; his sister and brother-in-law, Dawn and Fred Moore; his parents-in-law, Frank and Peggy Ladd; and his brothers-in-law, Richard Ladd and wife Patty and daughter Madison; John Ladd; Tom Ladd and wife Christian and their children, Thomas and Catherine; and Steve Ladd. The family suggests memorials to BSA Hospice, 600 N Tyler St., Amarillo, Texas 79107 or St. Andrew's Episcopal Church of Amarillo 1601 S Georgia St, Amarillo, Texas 79102.